At 44 metres, this is the tallest minaret in China, standing next to a mosque in Turpan, Xinjiang. The tower was traditionally used to call people to prayer, but nowadays it is hardly ever used -- the Chinese government declared in August this year that loud speakers could not be used to call Muslims to observe their faith. Construction on the minaret began in 1777 and was completed within a year. 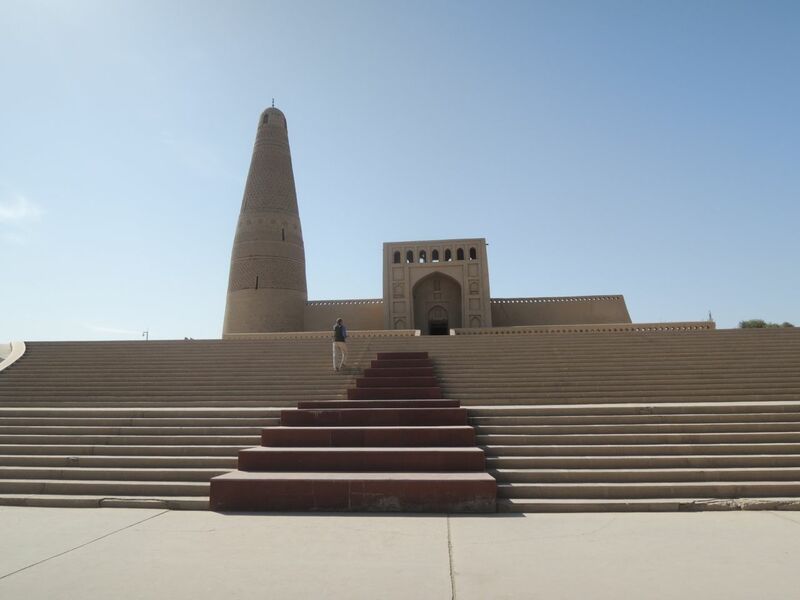 It was built in honour of a local Turpan general, Emin Khoja, which is why the minaret has the name "Emin". We weren't allowed to go inside the minaret to climb the 72 steps, but it is made of wood and brick, the latter having floral designs carved on them. The tower also has several long windows at different heights to provide light and ventilation. 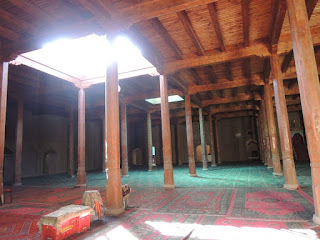 Next to the minaret is a mosque that is made with rough wooden beams. It's understated except for the elaborate silk carpets on the floors. For such a grand looking structure on the outside, it is quite humble and simple inside. 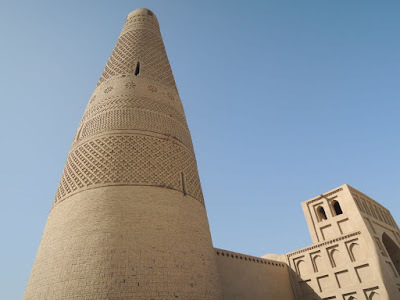 However, the minaret is really the standout here, with the geometric designs and texture created by the bricks, and the fact that it's still standing is a testament to artisans over 200 years ago.